When the McLaren 720S hit the scene in 2017 we all knew it was fast, but we never expected it to become a drag racing hero. 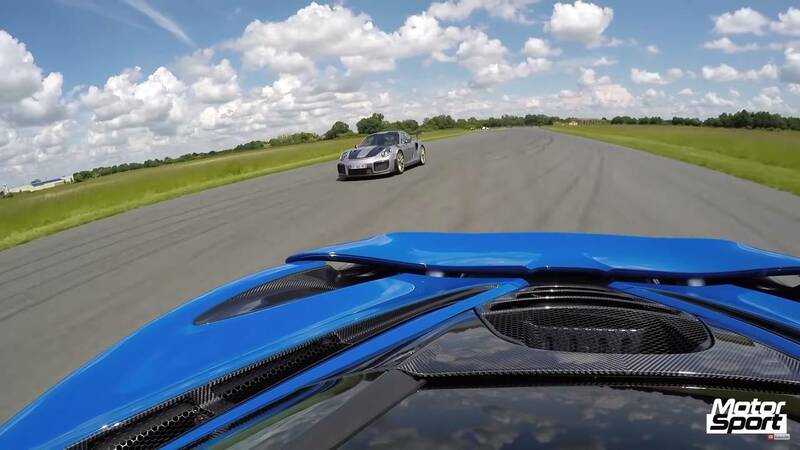 Such contests are generally reserved for brutish muscle cars built to accelerate like a ballistic missile, which often results in a car that turns like the Titanic. It’s a foregone conclusion that the 720S would be stellar in the bends, but time and again we see it topple all competitors in straight-line speed – including the fearsome Dodge Challenger Demon which was built specifically for drag racing. This time around, the outcome is no different. 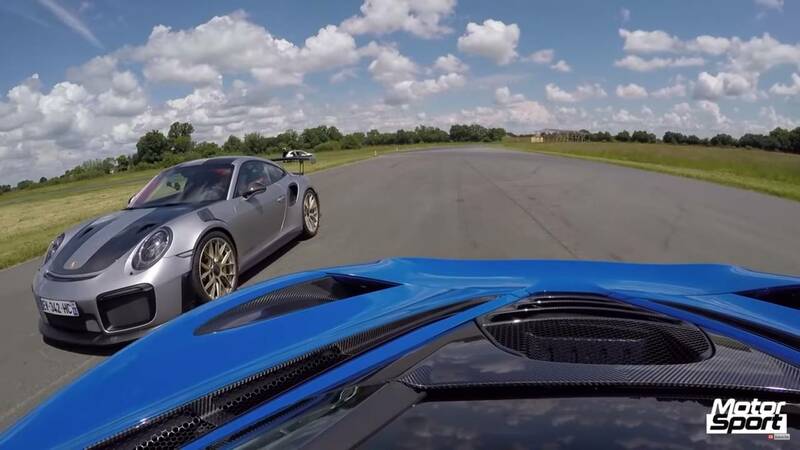 That’s not to say there’s no drama here, because the Porsche 911 GT2 RS is no slouch either. It’s the former record holder for production cars at the Nürburgring after all, and that doesn’t happen without some serious straight-line speed. Its 3.8-liter flat-six makes 690 horsepower (515 kilowatts), and with only 3,200 pounds (1,450 kilograms) to manage, it can rip to 60 mph in under three seconds en route to a top speed of 211 mph. 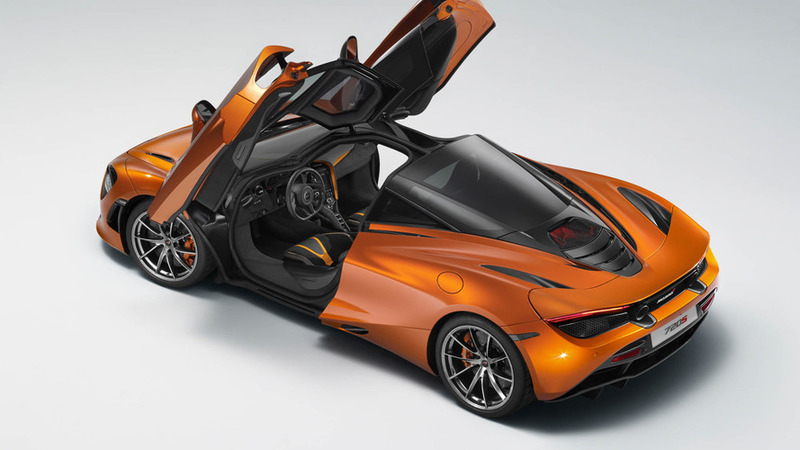 The McLaren 720S also rips to 60 mph in under three seconds, and if you go by the numbers, the Porsche is actually a tenth quicker in the sprint. Similarly, the numbers show the McLaren has a single digit advantage in top speed over the 911, so for all intents and purposes, this drag race should be a dead-even sprint between two extraordinary supercars. However, the numbers also say the McLaren 720S produces 710 hp from its twin-turbo 4.0-liter V8 engine, but there’s all kinds of evidence to suggest that figure is underrated – like this stock dyno run from last year showing 698 hp to the wheels. When you do the math for driveline loss that puts the McLaren closer to 800 hp, which could explain why we’ve seen this hypercar best everything from the aforementioned Demon to the Tesla Model S P100D, and yes, this Porsche. Still, we give all kinds of credit to the 911 GT2 RS. It grabbed the smallest of leads at the launch but was simply no match for the power of that 720S. It remains our stock-for-stock drag racing king.